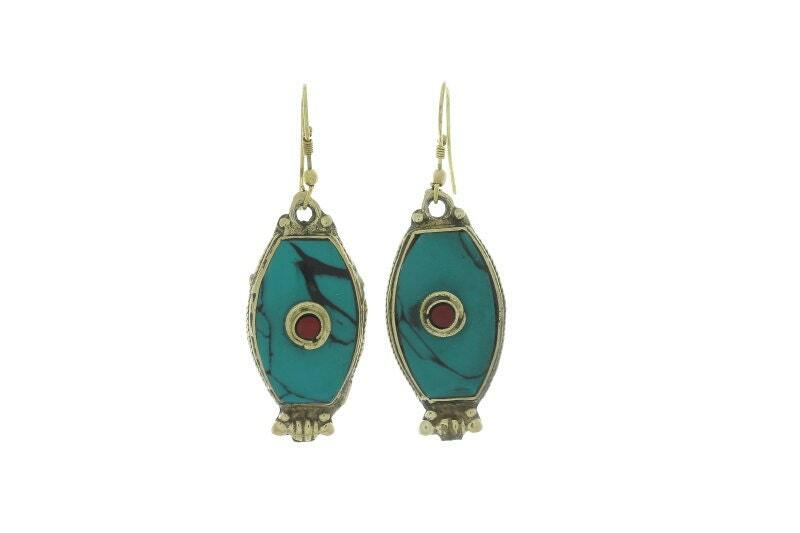 Turquoise and Coral earrings in lovely brass setting. Gemstones are Turquoise and Red Coral. Turquoise is a stone of purification, protection, wisdom, and positive thinking. The Master Healer. Length With Hook: 1 3/4"